After nearly two years of waiting, Captain America: Civil War is finally hitting theaters on May 6…well, sooner for the folks who get to score an early screening. Regardless, this movie is not only kicking off Phase Three, but will definitely be one of Marvel’s most important movies when it comes to shifting the status quo. Nearly every big screen Marvel hero is participating, and when you throw in a few new players, the ensuing conflict is going to be huge. Most of the protagonists have gotten a decent amount of coverage in reports and previews, but there are still a few characters who remain a mystery. It’d be extremely difficult to give every major character a good amount attention in marketing, but there are quite a few players in Captain America: Civil War who haven’t been elaborated upon over the past year, even they did happen to appear in certain previews. Here are the folks who have had little to no information released about them and the questions we have about their involvement. 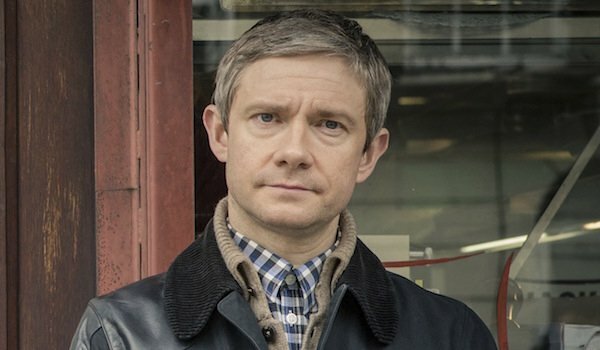 Martin Freeman is making his MCU debut in Captain America: Civil War as Everett Ross, an agent for the Joint Counter Terrorism Center. He was briefly glimpsed in the first trailer and a promotional photo at a facility in Germany with Sharon Carter, but that’s the extent of his appearances so far. Obviously since he works for the government, he’ll be enforcing the new superhero legislation, but we don’t know yet whether he truly sides with Team Iron Man or Team Captain America. Since Everett is an ally to Black Panther in the comics, we can reasonably assume he’s not working with the bad guys, but still, it’d be nice to know how he’s involved. It’s also heavily hinted that he’ll appear in the Black Panther movie, so even if we don’t get many answers about him here, they’re forthcoming. 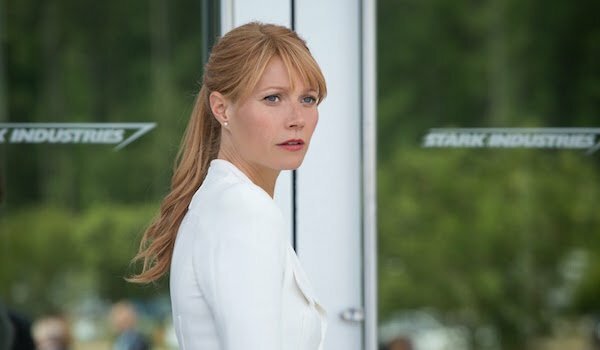 Pepper Potts was last seen in Iron Man 3 having just beaten Aldrich Killian and gotten the Extremis flushed from her system. Tony mentioned that he was still romantically involved with her in Avengers: Age of Ultron, so we can assume they’re together in Captain America: Civil War. Although it was originally unclear whether Pepper was in the movie, it was revealed last month that Gwyneth Paltrow was involved in reshoots. Because of everything that’s being packed into the story, it’s likely that her role will be minimal, akin to her presence in The Avengers. How exactly remains to be seen. She’s still the CEO of Stark Industries, so maybe they get involved with the government’s plans. Maybe Tony Stark just shares an intimate moment with her or asks her advice on how to handle the current situation. 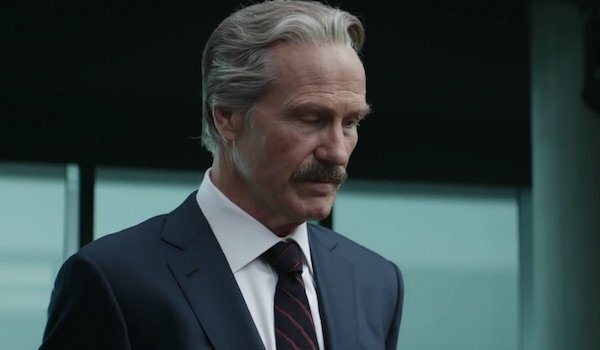 Thaddeus "Thunderbolt" Ross’ only appearance in the MCU until now was in The Incredible Hulk, when he was a general determined to capture the Green Goliath for the military. Eight years have passed since then, and now Ross is the United States Secretary of State who’s been seen telling the Avengers about they will now be officially supervised. Just like his comic book counterpart, the MCU’s Ross isn’t one to approve of enhanced beings working outside the government’s jurisdiction, so you can bet he approves of the Sokovia Accords being passed. His political maneuvering is certainly going to screw around with the Avengers, but is there more to it beneath the surface? Is Ross helping with something he truly believes in, or is he working with sinister parties to hurt the heroes further? One thing we can definitely count on not happening is him turning into Red Hulk, contrary to last year’s rumor. Brock Rumlow was introduced in Captain America: The Winter Soldier as one of the many S.H.I.E.L.D. operatives who were secretly working for HYDRA. He was badly injured the last time we saw him, but he’ll be back in full force during Captain America: Civil War as Crossbones. The trailers have shown him fighting Captain America, but to what end? 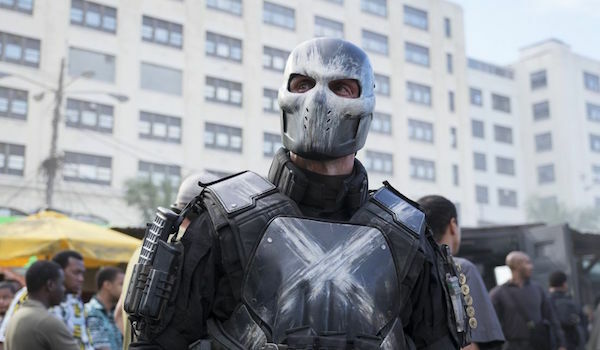 Frank Grillo has said Crossbones wants revenge for what happened to him (which makes sense, given how mangled his face is), but why does his revenge plan involve a group of armed goons? Is he just carrying out an attack for the hell of it or is he working for/with someone in a grander conspiracy? The former is certainly plausible given how unhinged he is at this point, but given how Crossbones has allied with other Captain America villains in the comics, we won’t be surprised if he plays a bigger role in this movie than advertised, like being responsible for the event that produces collateral damage. Sharon Carter made her MCU debut in Captain America: The Winter Soldier as Agent 13, the mysterious S.H.I.E.L.D. agent who assisted Captain America and joined the CIA after the HYDRA infiltration was exposed. She’s been seen with the Avengers, Everett Ross (as mentioned earlier) and even battling Bucky Barnes, so it’s a good bet the CIA will send her to oversee the Avengers following along with the new law and she’ll be caught in the ensuing feud. Beyond that, what is she doing? Concept art from last year showed her siding with Team Captain America, but we still don’t know what will lead her to officially joining the team. Sure she likes Captain America and what he stands for, but something big is going to need to happen for her to throw away her government career and work with the fugitive heroes. 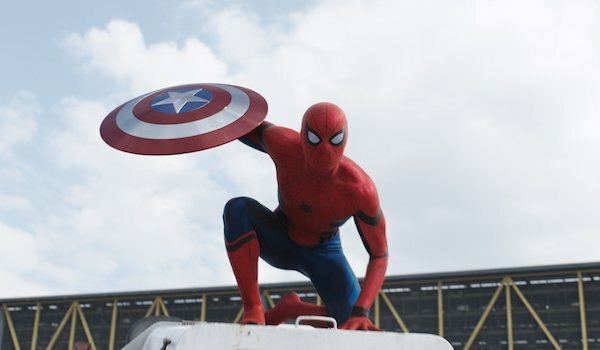 It’s been known for almost a year that Tom Holland’s Spider-Man will be in Captain America: Civil War, but it was only in the last full-length trailer that he finally appeared. He’ll be fighting with Team Iron Man, and it looks like Tony has made some upgrades to the Spider-suit. Unfortunately, the exact details of Spider-Man’s involvement are being kept under wraps officially. Rumor has it that Tony will personally approach Peter personally to work with him, but does he learn about learn Peter through that Stark Industries scholarship program or simply deduce Spider-Man’s secret identity? Who will he battle during the conflict, and how does he go back to his usual life in time for his solo movie? According to folks who saw the movie early, Peter Parker/Spider-Man is around for about 30 minutes, so audiences certainly won’t be lacking for the Web-Slinger’s MCU debut. 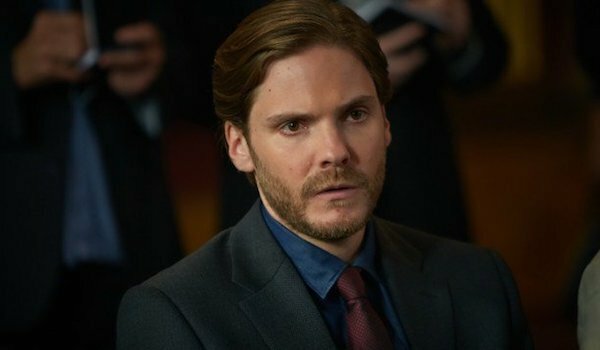 Captain America: Civil War’s biggest question mark is its main antagonist, Helmut Zemo, played by Daniel Brühl. With less than a month to go until the movie’s release, there’s been no sighting of Zemo anywhere, and the cast and crew have been cagey about what to expect from him. The main thing that’s been revealed is that this Zemo is a loose interpretation of his comic book counterpart, and he’ll lack his trademark purple mask. With so much of Captain America: Civil War’s marketing focused on the conflict itself, we have yet to see what diabolical machinations Zemo is plotting. Did he help the Sokovia Accords get passed or is he simply taking advantage of the changed status quo for his own gain? We’ve speculated he might even be used as the catalyst to bring back Red Skull, but whatever he’s up to, Marvel is staying completely mum about his exact role. That said, producer Nate Moore said Zemo will help set up a future movie, so his influence will extend beyond just Captain America: Civil War.